That may have been Stallone’s catch phrase in the movie Judge Dredd, but these days a CMO (Chief Marketing Officer) or even your marketing strategist could easily say that phrase as well. These days analytic solutions are breaking down more data from many sources, creating more accurate sales and operational models. Businesses are learning to compete through innovation, but how does one model the volume of analysis and concepts presented? 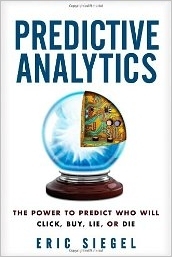 Predictive Analytics: The Power to Predict Who Will Click, Buy, Lie, or Die by Eric Siegel, PhD serves as a clarion call for business managers to understand the possibilities and myths. Siegel is the Founding Conference Chair of Predictive Analytics World and President of Prediction Impact, an analytics services firm. I was really excited when I came across the book. Several new analytics books are being released this year, so I asked Wiley for a review copy. The word “analytics” means “to break down” in Greek. This kind of break down in predictive analytics means correlating data to discover new opportunities with the given resources. This new capability is also breaking down department “silos” in organizations, our preferences in our behavior and, at times, our privacy measures. Siegel uses seven chapters to show how we are increasing our understanding – and our misunderstanding – of the world through data. Hewlett-Packard uses analytics to predict if you are considering quitting your job – valuable given that seeking a new employee can cost more than retention. Another interesting correlation experiment is the “Anxiety Index,” a correlation of blog mentions against S&P 500 performance. You can tell Siegel adores the subject, but not with blinders or false salesmanship to the reader. When he says, “Data prospectors see value and value is exciting,” you know he really means it. Such distinctions are critical in understanding perils with personalization programs. Reading this book will help managers who think digital only means flipping a switch. Businesses small and large can uses this book to help frame what segments of data make sense. 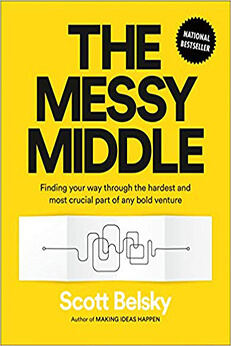 For example, Siegel explains how a learning machine works through a decision diagram – although used in the book to frame an enterprise-level predictive model, small businesses could use the idea in framing their own data conundrums. Other highlights include Chase Bank’s mortgage risk predictive model, IBM’s data usage for Watson on the game show Jeopardy and a 147-example cross-industry table of predictive models in use today. How Does This Book Compare With Other Analytic Texts? Consider this book as an extension of data based marketing and more specific than Davenport’s Analytics at Work (Davenport provides a preface, by the way). The book has comments that can make data entertaining, though with less of a spin than Avinash Kaushik’s book Web Analytics 2.0. Ultimately it’s an excellent primer for developing some ideas on how data can enhance a business. This makes the book more actionable than Big Data, although no deep database discussions are included. Predictive Analytics is excellent, not just for its trend-of-the-day subject, but for the way it treats its subject – respect and reverence, with the right scientific doubt. 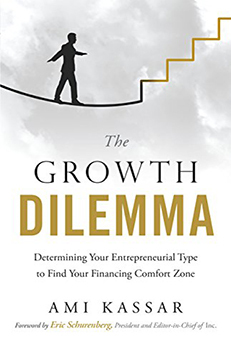 The book honors the work from business intelligence professionals like Thomas Davenport, Eric Sterne and Eric Stiegel. It also honors analytic practitioners or managers looking to increase their business’s competitive advantage. I do not need data to know that competitive advantage is what any business is looking for.